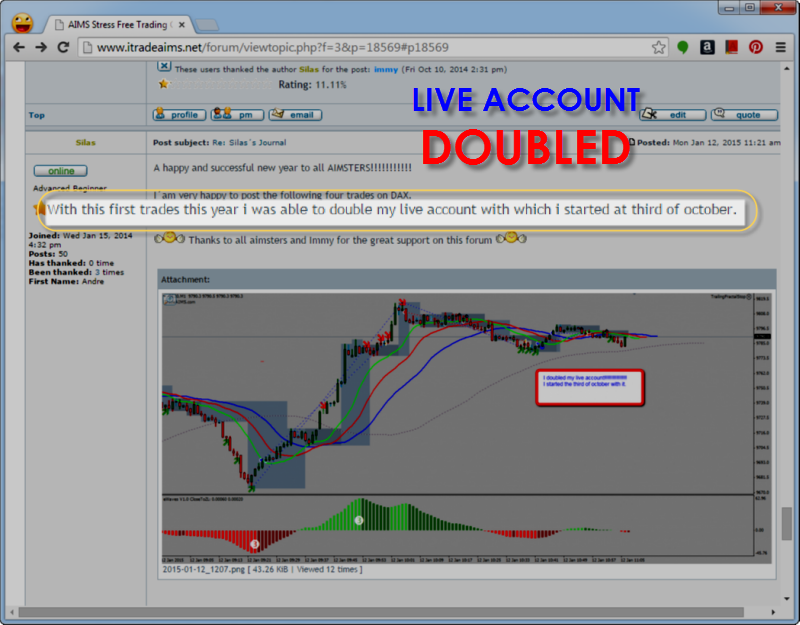 Congratulations to SILAS for Doubling Live Trading Account. I just wanted to Share this good news, certainly not the first one who used #AIMS Stress Free Trading to double their account but it surely is something worth sharing, celebrating and rejoicing. woohooo!!!! Silas ... You're Fab! Congratulations to SILAS for Doubling his Account. Snapshot from AIMS Forum where Silas Shared the Great News of Doubling Live Account in 3 Months.